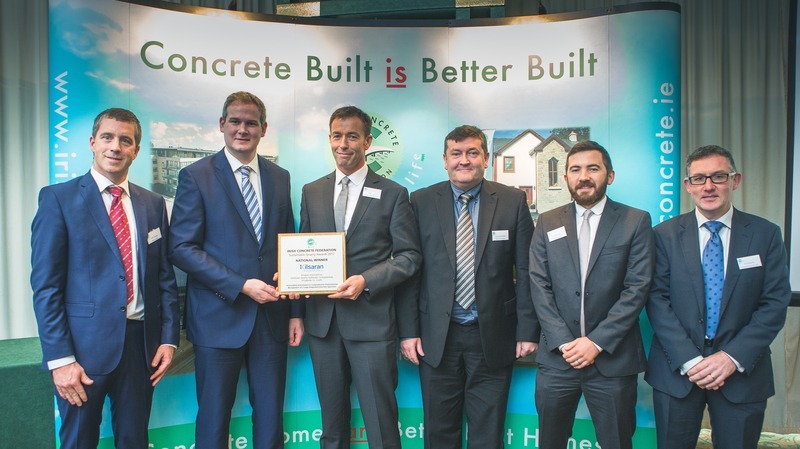 Sean Kyne TD, Minister of State for Natural Resources presented the winners of the Irish Concrete Federation’s (ICF) Sustainable Quarry Awards which were held on October 25th, 2017. The ICF awards showcase examples of sustainable extraction operations which underpin Ireland’s economic and societal development. The winners will go forward to represent Ireland in the European Aggregate Association (UEPG) Quarry Sustainability Awards. The overall national winner for 2017 was Kilsaran International’s Gallstown Quarry, Grangebellew, Drogheda, Co Louth. The winner’s award was presented for the outstanding achievement in comprehensive environmental management of a large integrated extractive operation. Sean Finlay, Director Geoscience Ireland, served as one of the judges and Ray Scanlon of Geological Survey Ireland attended the award presentation. The ICF is the national representative organisation for the Irish aggregates and concrete products industry.